All board members as well as many individual members are members of the National Speleological Society (NSS). Those Grotto members whom are also NSS members receive a discount in their annual dues to the Grotto. 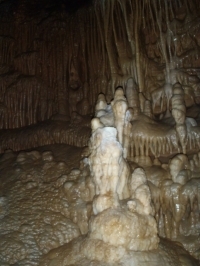 The Little Egypt Grotto has been an affiliate of the National Speleological Society since 1964.